Google does a great job of casting itself as your friendly neighborhood Internet pal. Its clever doodles on the search engine home page delight us with puzzles or give credit to seldom-remembered pioneers. Google is also spying on you by collecting massive amounts of personal information and tracking your every move, swipe, like, and browse across the Internet. Google is the kind of entity we all fear the government of being: Big Brother who is constantly tracking everything you do, say, and buy. And there appears to be no real reason behind it; at least not one that makes sense to the average user. Google is mostly just doing this to its own ultimate purpose: Making as much money for Google as possible by manipulating what advertising you see every single time you go online. Google’s algorithms decide what you need to see and what you don’t. If you use Google on your phone, it stores your location every time you turn it on. It stores your search history across all your devices in a separate database, meaning even if you were to delete said history on all your devices, Google would still have a record of it. That’s the same for anything you’ve ever watched on YouTube. Ever. And every app and extension you’ve used. How often you’ve used them. Where you were and who you interacted with. That includes Facebook, Twitter, Instagram, Snapchat and any other app you’ve used while logged into Google. And let’s not forget about every email you’ve sent or received. And everything on your Google Drive, even the stuff you’ve deleted. In fact, Google gives you the option to download all the data it stores about you. For an adult who’s been using the Internet for a decade or so, that file is around 5GB. Google has an amazing collection of helpful apps for organization, productivity, research, and more. Heck, there are plenty of small businesses out there that operate simply through Google Apps and Google Drive. But with the recent revelations of just how much information the likes of Google and Facebook are absorbing from you as you go about your daily routine, the backlash has been tremendous. The world has already seen its first major data protection legislation come to pass in the form of the EU’s General Data Protection Regulation (GDPR). As more people realize the level of privacy invasion that Google is reaching, the more they are seeking alternatives to remove Google utterly from their online world, seeking alternatives that transparently display exactly what data they do record as well as their attempts to keep your privacy intact. 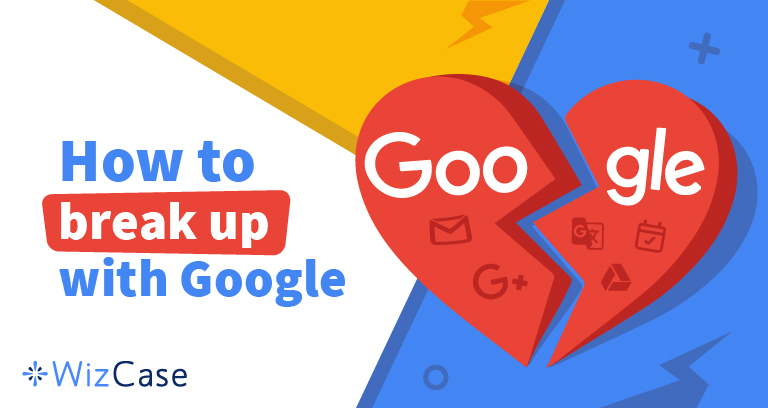 So how do you break free from Google’s hold and start using other services to fill the gap? Here’s a breakdown of software packages, apps, and websites that have made the conscious choice to be the “anti-Google”, storing only what data is necessary to keep your productivity high. 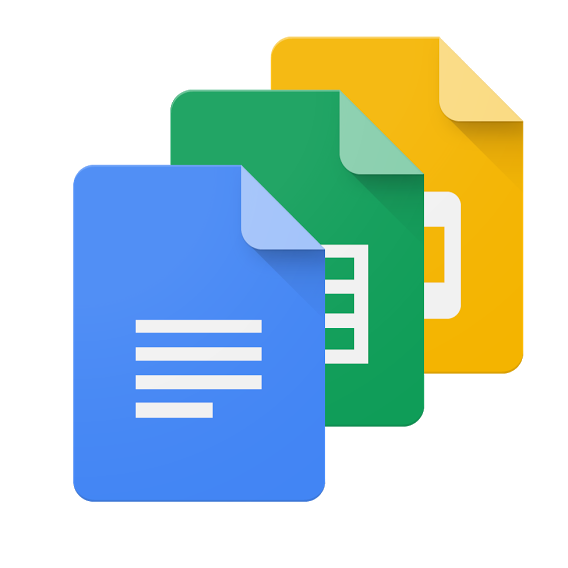 Google products: Docs, Sheets, etc. Zoho is actually a popular app to use with Google Docs, but it has its own online office suite as well. The similarities are many, including tracking document changes, syncing content to your desktop to work offline, and easily sharing files and folders with coworkers or collaborators. Zoho offers multiple levels of encryption to keep your stuff safe. As we learned above, Google Search never deletes anything for good. Even if you searched for something on your iPhone and deleted it as soon as your were done, it’s still going to show up in one big registry in Google’s file all about you for later use. DuckDuckGo has a funny logo but it’s taking your privacy a lot more seriously. It does not track your search history, which means it’s not returning personalized ads and making you feel like someone’s looking over your shoulder every time you search a term. DuckDuckGo looks similar to Google, with options for images, videos, and news in your searches. Google’s handling of your email might be the most troubling part of its information hoarding. The site acknowledges that it is storing every email you’ve sent and received from Gmail, no matter how long ago you first start using it; every contact you’ve ever added; and every calendar event; every photo/video you’ve ever uploaded to your mail. While Google says this it to give it more insight into how to serve you better, the question of why remains, particularly in lieu of how common identity theft is these days. According to Javelin Strategy and Research’s 2018 Identity Fraud: Fraud Enters a New Era of Complexity study, there were 16.7 million victims of identity fraud in the US in 2017. That’s the equivalent of every single person in New York City, Los Angeles, Chicago, and Philadelphia having their identities stolen. If someone gains access to your Google ID and password without your knowing, they could use the aforementioned data download option to pull every email you’ve sent through Gmail ever. That means every time you’ve written an email about your family, something persona, something financial, everything. Scared yet? Fortunately there are alternatives, starting with Protonmail, which started as a crowdfunding campaign in Switzerland. The idea was a completely private email client. Protonmail is serious about security: You need a login password followed by a mailbox password to get on. There’s end-to-end encryption and a free mobile app. Even better, you don’t have to provide another email address for password/account recovery. If you want to be completely protected, don’t enter one. Someone trying to sneak into your account by resetting the password will find it’s not even an option. The downside is that the free version only gives you 500MB, but if you’re using it strictly for security, that will take a long time to fill up. Tutanota is both a privacy browser and a private email client that gives you several different domains to register under. 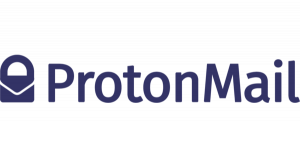 When Protonmail started limiting the number of email addresses you could sign up from the same IP – as people were wont to do when they started hitting the 500MB on the free version – Tutanota, based in Germany, started getting more looks. It’s a very simple setup and has an annoying habit of logging you out after about 10 minutes of inactivity, but it also takes privacy and encryption very seriously. It wasn’t too long ago that Chrome arrived like a godsend to Internet users. Since its debut in 2008, it’s been hailed as lightweight, quick, and able to avoid Java errors that so many other browsers struggled with. Three years after its release, it passed Firefox for total users, and in 2016 it had 62% of the world’s desktop usage, vastly ahead of Firefox (16%) and Internet Explorer (12%). But the revelation of how much information Chrome is devouring and storing has people looking for other options, with Firefox upping its game in the last year. Firefox released Firefox Quantum earlier this year to move really quickly from site to site In terms of privacy, Firefox smartly updated its stance on the subject in May 2018 to include verbiage about not keeping personal information any longer than necessary and destroying it at that time, something Google apparently never does. 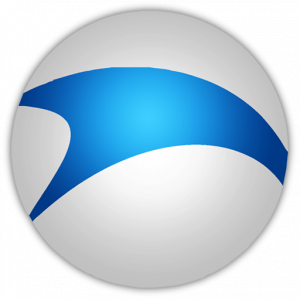 SRWare Iron aka Iron Browser is a German product dedicated to eliminating usage tracking. Ironically, it was release just 16 days after Chrome in 2008 and wipes out a number of Chrome features including automatic address bar search suggestions, DNS pre-fetching, and sending usage statistics and crash information to Google. It also includes an ad blocker and lets you block background communications. TOR, also known as onion routing, got its start with three US Navy scientists in the mid-1990s. The onion aspect involves hiding users’ identities online with a massive network of routing and rerouting requests after encrypting them. The result is a series of bridge relays that makes it next to impossible to track where a signal is actually coming from. TOR has been tied to the dark net, but that doesn’t mean normal people can’t use it safely to evade detection or having their information sent from place to place. The idea that Google Drive continues to store files you’ve insisted on deleting is a troubling one for a number of reasons, especially if you’re using the product for your business. You delete items for a reason: they are no longer needed, they are no longer relevant, or they present security liabilities. Having old passwords and user account information, as well as any number of personal documents lingering around is an ugly idea. DropBox, which allows you to put your files into a cloud environment and share them with other people, is specific in how it handles deleted files. It spells out its various types of deletions based on your level of membership. If you are a Basic or Plus user, you can retrieve deleted files for 30 days. If you are a Plus subscriber with extended version history, files are available for one year. If you’re a Professional or Dropbox Business customer, you can retrieve files for 120 days. However, if you want your files permanently gone, you can skip leaving your files in this limbo state and send them into the black abyss of nowhere. Dropbox admits it might take up to 60 days for the permanent deletion to occur, but when it does, there’s no take backs for you or for the service. If you want something a bit more off the beaten path, go for pCloud. Not only does it not limit your file sizes, but it also lets other people upload files to your storage – don’t worry, they are stored separately – and the only limit on synchronization speed is how fast your Internet lets you go. The only big negative is that if you do a hard reboot of your phone, pCloud will delete all your data, believing your phone has changed owners. It gives you 2TB of storage and 2TB of bandwidth for starters – Google’s free Drive offers 15GB. The most impressive part of pCloud is what it gives you that Drive does not. While it is a paid add-on (ranging from $3.99-$7.99/month), pCloud offers zero-knowledge privacy features and military-grade encryption to ensure nobody is getting into your files and pCloud itself isn’t snooping around when you’re ready to let things go. If you’re able to break your habit of Gmail, then you’ll have to boot Google Calendar as well. That’s OK now that we know that Google has been tracking every single entry onto your calendar since forever. If you’ve got an Android, then aCalendar is an easy transition for you. It costs a bit less than $5, but is very convenient, allowing you to swipe from day to week to month and to really differentiate between events thanks to 12 event colors and 48 calendar colors. There’s an ad-less version available, which is really nice if you’re coming from Google Calendar, and you can also adjust font to use. If you’re a traveler for business or pleasure, you can also select one of 30 different languages and add holidays from more than 35 countries. Another handy tool is the drag’n’drop feature for the day view. If there’s a movie, a concert, a meeting place, or anything else you want to add, you can just swipe it into your daily itinerary and you’re good to go. If you’re looking for something a bit more innovative, try out Etar – an open-source calendar that got it start on GitHub. Based on one guy’s desire for a simpler calendar option, it has month, week, day, and ‘agenda’ views, and can sync with Android, Google, or Exchange. A user hails it as “does everything the Google Calendar app does but without the annoying pictures that you can’t get rid of!” It has earned lots of plaudits for its simple design and for being user friendly. Another casualty of user trust thanks to the knowledge that every picture you’ve ever taken of yourself, your kids, your friends, birthday parties, anniversaries, exes, deceased relatives, romantic getaways, etc., is logged in Google’s profile of you, even if you long-ago deleted them. It’s alright to be angry about that. It definitely seems like an invasion or privacy. Shoebox is a cool alternative to Google in that it offers ‘bank-level’ security options and offers free, unlimited photo storage. The free option comes with multiple forms of access, high-quality backup and 15 minutes of video backup. If that’s not enough for you can upgrade to the pro option for $5/month and get original-resolution backup plus 10 hours of video backup. Like the growing swell of anti-Google apps coming into focus, Shoebox deletes your photos for good if you say so. Say your business is in contact with a foreign power. You want to speak to them in their own language as much as possible over IM or email, so you employ Google Translate to help make the language barrier as low as possible. The problem is that when you’re IMing phrases like “We’ll pay $15 million for your services,” you run the risk of that text being compromised. That’s Google-ese for “if we want to take your sensitive information and turn it into a commercial or a marketing campaign, you just gave us permission to do so.” Simply incredible, but very few people read the fine print well enough to see how disastrous it could be. DeepL, a Google competitor in the translation game, has recently updated its usage terms to take a hardline against the type of usage Google is using. If you buy a subscription to DeepL Pro, everything you enter to be translated along the connection that runs from your device to the DeepL servers is encrypted 24/7. That means no leaks and no fiddling with your information by any third parties. So apparently, Google Maps is on all the time, whether you’re using it or not, so your location can be tracked. It’s sort of like that moment in “Breaking Bad” when Walt realizes Hank put the GPS tracker on his car. You know the technology is possible, you’re just blown away it’s being used on you. OpenStreetMap is a viable alternative that is created by its own users and includes data concerning road conditions, trails, railways stations, and more. If you are a registered user, you can contribute information to the site, but it never takes your personal data for any purpose. Without sounding too glib, it’s no wonder Google Analytics is so well-regarded; the company has been performing it on every single person who uses Google for the last 15 years or so. If you don’t want your business data specifics being sucked up and store by Google, there are a couple of alternatives that are a lot more selective in what they store. Clicky costs $9.99/month but comes with some extras that Google doesn’t provide, such as spam/bot filtering, and A+ SSl rating, and an IP anonymizer option. Like many companies that collect data, Clicky has upgrade its About Us page of late to more specifically reference what it does and does not store. If you are located in the EU, Clicky follows the new guidelines set forth by the GDPR. Otherwise the company points out that it only collects data from users that is necessary for providing its services. For some, detaching from Google is a monumental task. If your every email, contact, and piece of business infrastructure is stored there, pulling it all onto one platform, let alone several, is a backbreaker in terms of time and effort. Fortunately, there’s an alternative where you can keep using Google’s services, but hide your location and protect your data. Employing a Virtual Private Network (VPN) allows you to connect to a remote server that will encrypt all your data and make you appear to be located somewhere else with a different IP address when you connect to websites. VPN prices may vary depending on different features, so make sure you choose the best one that fits your needs. While Google would still be able to access anything you upload and anything you send or receive, you would be able to hide your physical location and IP address. Altering your Google settings would help protect your information, but you would still be sacrificing a lot of privacy in the process.